All of the LERN social events are sold out. However, if you’re interested in going on a social event, stop by the LERN registration to have your name put on a waiting list and on the day of the tour, meet at the designated time in the lobby and we’ll do our best to include you. In the past, there have always been no-shows, so you have a good chance of joining in. 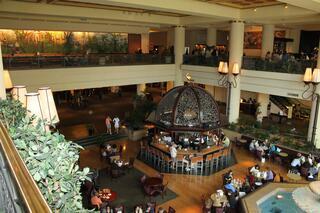 All groups meet & depart from in front of the Star bucks in the lobby of the hotel. Wednesday: French quarter walking tour – the tour departs at 3:30 pm, but check-in for the tour is at 3:15 pm. Friday: Hybrid City Tour – departs at 3:30 pm, check-in is 3:15 p.m.
Saturday: Houmas House plantation & garden tour – event was originally scheduled to depart at Noon. Due to large number of people, departure time has been moved to 11:45 am. You should check in at 11:35 am. Due to earlier departure time, we will return to hotel between 4 and 4:15 pm.